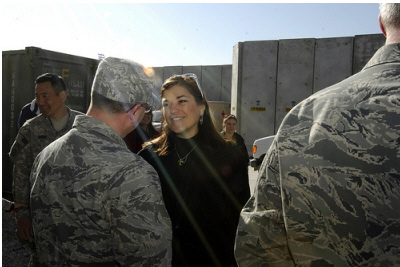 WASHINGTON, D.C. – Congresswoman Loretta Sanchez (CA-47), senior member of the House Armed Services Committee, today submitted the following statement to the record recognizing Orange County’s First Annual Stand Down. The event will provide homeless veterans and their families with new clothing and hot meals along with an opportunity to receive mental health and substance abuse counseling. This annual event will also be an opportunity for our veterans to be placed in their own home and find employment through the various housing and employment placements assistance that will be made available. The term “stand down” originated in the Vietnam War and describes a place of relative security and safety for wartime units returning from combat operations, and the purpose of this event is to do the same, to not only provide veterans and their families rest and resources to rebuild their lives but to also recognize their sacrifice and thank them for their service. The statement for the record is below. Mr. Speaker, I rise today to proudly recognize the First Annual Orange County Stand Down to be held in Santa Ana, California on September 17-18, 2011. Nationally, it is estimated that one-third of the homeless population in the United States are veterans of the United States Armed Forces, many of whom face a constant battle with the effects of their time in service to our nation. There are approximately 5,000 veterans residing within the borders of Orange County that currently experience some form of homelessness during the year. This event will create a “one-stop” environment for these homeless veterans and their families to receive basic social services such as veterans benefit assistance, mental health and substance abuse counseling, along with housing and employment placement assistance. The first Orange County Stand Down expects to serve approximately 400-500 of the county’s homeless veterans and their families, many of who have served their country valiantly in theaters of combat ranging from World War II to the current wars in Afghanistan and Iraq. Attendees of the Stand Down will be able to receive hot showers, new clothing, hot meals and a chance to bond with their fellow veterans. Veterans First, a community based organization in my district that serves homeless veterans along with other community groups and government entities such as the United States Veterans Administration (VA), State of California Employment Development Department (EDD) and Department of Motor Vehicles (DMV), the County of Orange, the American Legion, Elks Lodge, American GI Forum, the American Red Cross, and Furnishing Hope, have come together to serve a group of brave individuals who have fought for the freedoms we value and cherish. I would like to recognize the First Annual Orange County Stand Down and commend its mission to restore honor to our homeless veterans and assist them in rebuilding their lives. As ranking woman on the Armed Services Committee, I would like to extend best wishes of success to the First Annual Orange County Stand Down in the hopes that it will become a sustainable annual event to assist our homeless veterans until all of our heroes are no longer on the streets. Congresswoman Loretta Sanchez is proud to represent California’s 47th Congressional District, which includes the cities of Anaheim, Garden Grove, Santa Ana, and parts of Fullerton in Orange County. She serves as Ranking Member of the House Armed Services Subcommittee on Strategic Forces and a senior member of the Committee on Homeland Security. Rep. Sanchez is also a member of the fiscally conservative Blue Dog Coalition and sits on the bipartisan, bicameral Joint Economic Committee.